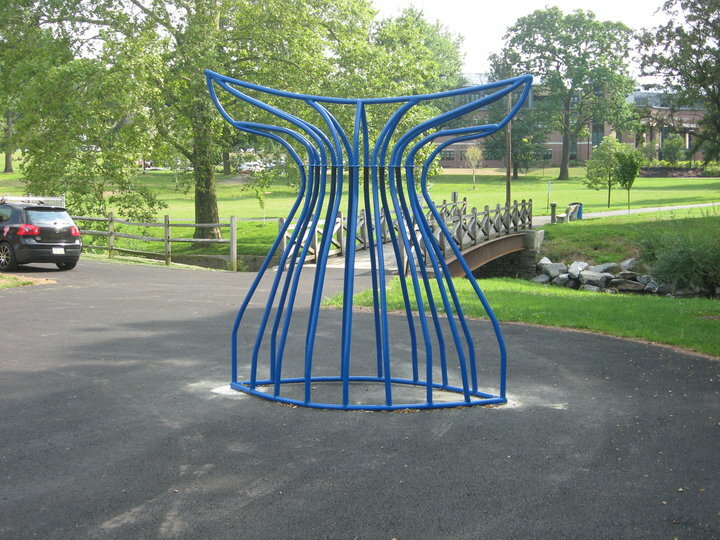 The Fish tail bike rack will be dedicated 8/3 at 6:00 in front West Reading pool during National Night Out event. The members of WalkBikeBerks fully supported this project from inception. We're hoping that it isn't long before there is a county-wide Adopt a Bike Rack program that grows from this initiative. Congratulations Berks County! Well done! 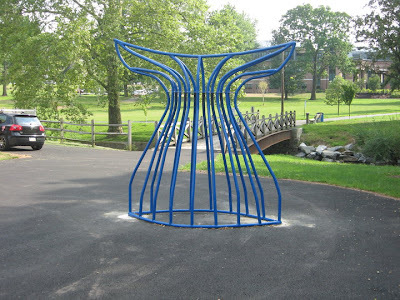 RiverPlace Development Project initiated this cooperative project to create a series of one-of-a-kind bike racks to decorate waterway bike trail systems. 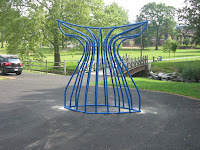 “RiverPlace believes in the creation of site-specific artwork to inspire civic pride and celebrate community identity.” said John Weidenhammer, RiverPlace President, “As part of that ideal we have been working with members of the regional business, educational and nonprofit community.” West Reading Elm Street program coordinated the project and kept it moving forward to completion. Robert Wood Johnson Foundation is launching a special online forum to start an open dialogue about the best ways to implement our six policy priorities for reversing the childhood obesity epidemic by 2015. We encourage everyone to register and join the conversation. The RWJF Community registration process is brief. If you are already registered, you will be be able to participate in the forum after you sign in. The discussion forum consists of six topic threads—one for each policy priority. RWJF staff members are acting as hosts and will post messages frequently to respond to comments and offer their own thoughts. We’re launching the online discussion forum today and anticipate leaving it open for the next month. ...Even though the BCTC students were in their first year of the program, that didn’t stop them from competing in local and statewide student competitions – and winning. A team of three students recently won first place in the Pennsylvania Department of Transportation’s “Drive Safe PA” public service announcement radio contest for PennDOT’s District 5. The students competed against more than 50 experienced competitors from Berks, Carbon, Lehigh, Monroe, Northampton and Schuylkill counties. PennDot has a survey up on it's website that you can access HERE. Go to the site and fill out the survey. There is also a section at the end where you can add your comments about other safety related comments you want to share. Use this opportunity to share you concerns about needs of non-motorists on our PA roads! Share your concerns about lack of Complete Streets, lack of sharrows or dedicated bike lanes. Use this opportunity to share your concerns over lack of motorist education in treating bicyclists and/or pedestrians! It's great that PennDot has survey questions regarding excessive speeding and drunk driving, but notice that not ONE of the survey questions dealt with how YOU as a motorist handle a situation involving a pedestrian or bicyclist. Take the survey and pass this blog onto your friends who care about needs of pedestrians and bicyclists TODAY! If you are a parent who loves to ride their bicycle than teaching your kids to ride a bike can be a rewarding and satisfying experience. However, as parents we also know that patience is needed and we sometimes will need to help our children get over any fears they may have. Here's an excellent video from Bicycling Magazine on how to teach your kids to get on the saddle and start pedaling. However, this is not the end of your work as it's only just beginning. Teaching your children how to properly ride their bicycle in your neighborhood or on the streets and obey traffic laws is most important in keeping your children safe and allowing them to enjoy the experience. WalkBikeBerks has certified bicycle instructors from the League of American Bicyclists. We have hosted several training sessions for both adults and children. If you are interested in any of these sessions for yourself or your kids let us know by emailing us a info@walkbikeberks.org. We'll let you know when our next session is coming up. 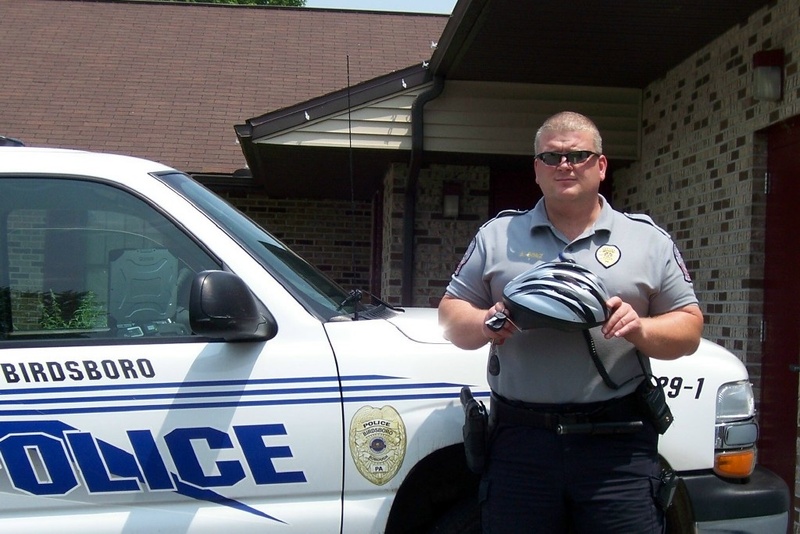 WalkBikeBerks has started a collaborative program with area police departments thanks to a grant from AAA of Berks County and donations from area businesses Chick-fil-A of Exeter and Broadcasting Square and Rita's Water Ice in Birdsboro and Shillington! See the full article on BCTV's website HERE! Thanks to our Board Member Nancy Kauffman for getting this program off and running! Back in July 2008, the City of Columbus adopted a resolution (.pdf) urging the Public Service Department and the Transportation Division to use a Complete Streets approach in all street construction, reconstruction, and repair projects. More recently, the regional planning commission adopted a comprehensive Complete Streets policy that improved upon an earlier “routine accommodation” policy. So, it comes as no surprise to me that the Parsons & Livingston Avenue Improvement Project would include so many elements to make travel by any mode at any age easy and safe. 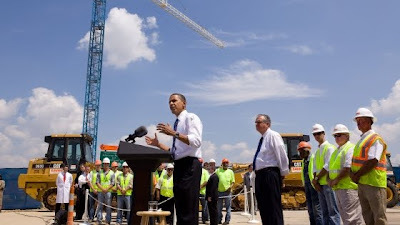 And it’s great to see such a worthy project receive attention from some important people: both President Obama and Transportation Secretary LaHood attended this morning’s groundbreaking. The new streets will feature traffic medians, new ADA-compliant curb cuts, wider sidewalks, plenty of street trees and bioretention planters, new bus shelters, and bike lanes and racks. These improvements will help people access a growing pediatric hospital and Columbus’s South Side, a neighborhood just outside downtown where the City of Columbus and its residents are working hard to revitalize. This new project will help lead the way.